No one gets enough of their Android smartphones or tabs. Everyone wants to make use of all the features available on the phone. One thing that is making videos. The variety of android applications available makes it handy to shoot, compose and edit one. Adding text to your video can make it much funnier but at present there are not many applications available to add the text unlike the applications for editing. Listed below are a few of the apps for android devices that will help you in adding text to your videos. Despite smartphone applications, we highly recommend - Wondershare Filmora (Win/Mac), the best software to add text to video including the videos shot by your android smart phone. From the user-friendly interface to multiple features, you will have the best ever experience with this software. It only need some drag-n-drops and clicks to export professional-looking videos. There are over 130 types of text for you to choose. It is a free app which is easy and simple to use, even beginners can film, edit and share their work instantly. It has the feature of multiple Text Multiple Edit Effect and supports edit like Word file. It also enables you to choose pictures and letters like captions, title, speech bubble, text box and any sticker that you fancy. It supports all the function that PC editor has. 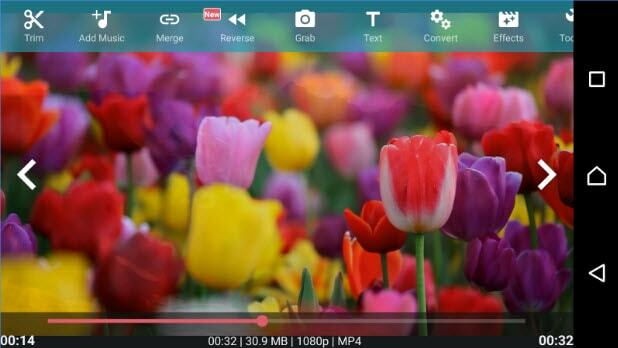 It is probably one of the most popular apps for video editing in androids. It is ranked as the number one free video editor and video maker app. It has no fee, no watermarks and no time limit. It also supports the facility to add text to the videos. The app also supports the adding of stickers, images, gifs and text. While using this app you have the freedom to doodle and use it in the text if the available fonts do not interest you. It is a very easy and versatile application. It takes a lot of time to upload and the application also takes up a lot of phone space . The app can be downloaded for free on the Google Play Store. This app assists you in creating the desired video and is also enabled to include text with simple editing tasks. The app offers multiple features necessary for editing. As far as adding text is concerned you can choose the color, font, size and the thickness of the lines etc. You even have the freedom to choose the position and duration of the text appearance. It is also possible to write freehand on the video sections. The app can be purchased from the Google Play store for $ 0.99. It is more of a toolbox than a formal editor. It is very simple to use and has a host of features. You can type on the screen and determine where on the screen you want the text to appear. Again the size, the color, the font and the thickness of the text can be determined. It is very easy to share your artwork with this app considering the number of features it has. The user interface is very confusing and it is does not allow to create or import a full screen graphic. This app can be downloaded for free from the Google Play Store, if you do not mind being disturbed by advertisements or pay $ 1.99 for an ad free version. 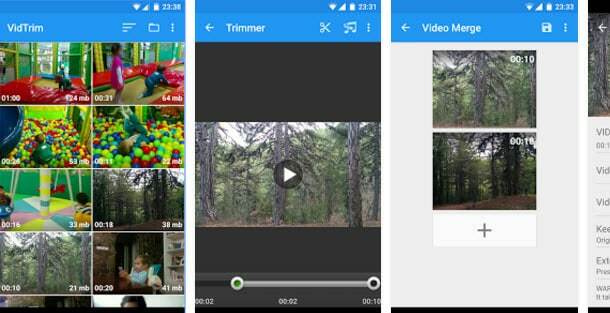 VidTrim too is a video editor app for androids. This app facilitates the trimming and merging of video clips. Along with all features that allow to add text like choice of color, font and size of the text the app supports the choice of language too. It supports the use of almost 14 languages right from popularly spoken ones like English, French to not so common ones like Turkish, Czech and Hebrew to name a few. Instant sharing is possible and trans coding the video clips allows you to convert them to MP4's. This app can be downloaded for free from the Google Play Store and pay $2.49 for an ad free version. Is there an app or something for adding subtitles to a video you recorded on android?